Recreate the unforgettable wild, wild west with your children and grandchildren with LINCOLN LOGS Oak Creek Lodge. 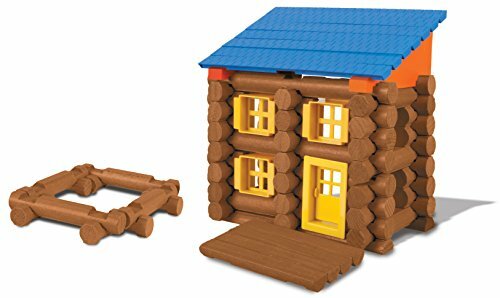 This building set includes real maple wood logs and a plastic door, windows, and roof eaves and slates. 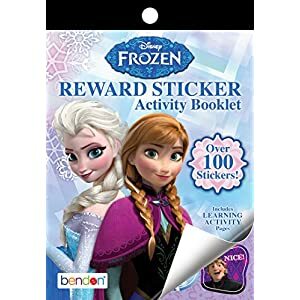 Each package also comes with a horse and cowboy. LINCOLN LOGS offers endless entertainment for children, including toddlers as young as three years old. 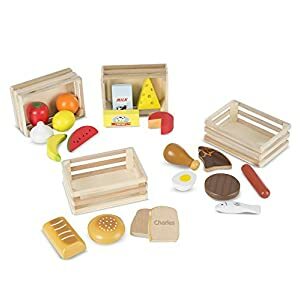 The wooden logs are easy to hold and stack, making this building set an ideal toy for toddlers. 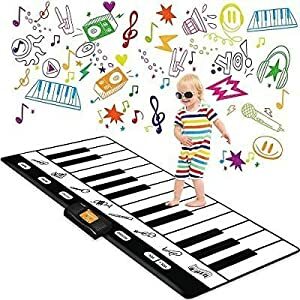 Kids can simply connect the logs together The use of the indentations in the wood. The use of the easy-to-follow instruction sheet, your little builders can create three lodges and two stables. 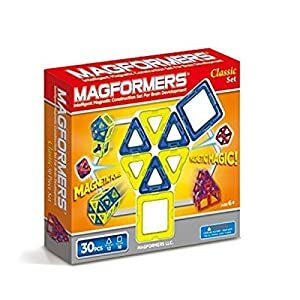 This educational construction toy provides endless entertainment and learning experiences. LINCOLN LOGS introduces STEAM (science, technology, engineering, arts, and math) subjects to children, whilst strengthening their hand-eye coordination, problem-solving skills, and spatial awareness. Aside from providing endless entertainment to children, LINCOLN LOGS hones their motor skills and critical-thinking abilities. Watch your toddlers’ imagination and analytical skills go wild as they build a lot of cabins. 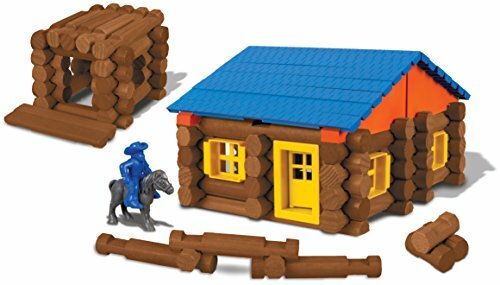 LINCOLN LOGS is a handy gizmo for introducing children to preschool learning. Children gain practical knowledge at an early age by building replicas of log cabins and stables. 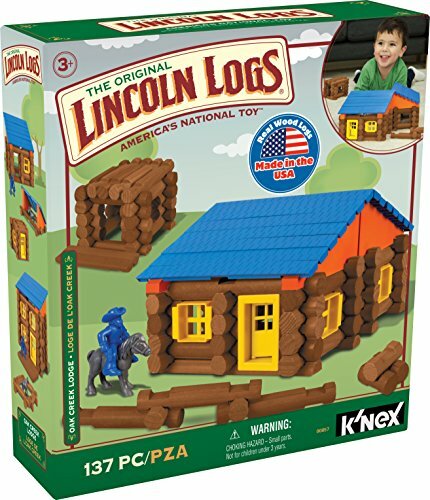 Dubbed America’s National Toy, LINCOLN LOGS has provided high-quality educational toys for 100 years. 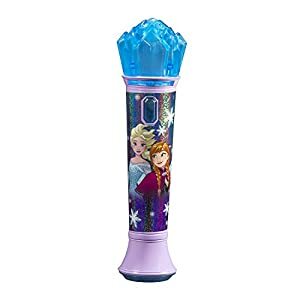 Rest assured that your children’s toys are tested to the strictest quality and safety standards. What are you waiting for? Build unforgettable memories at the side of LINCOLN LOGS Oak Creek Lodge today! 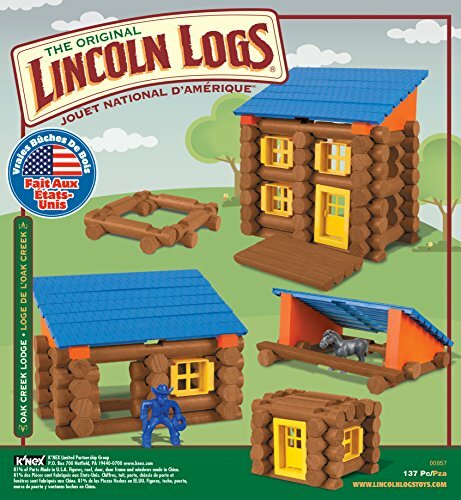 137 AUTHENTIC WOODEN PIECES – LINCOLN LOGS Oak Creek Lodge contains 137 parts and pieces made in the U.S. from real maple wood logs. Each log has indentations that can be used to connect it with the others. 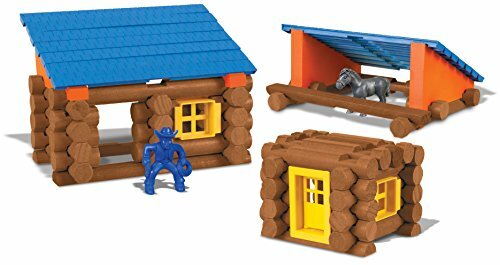 The package also includes a door, roof eaves and slates, windows, and two plastic figures – a cowboy and a horse. 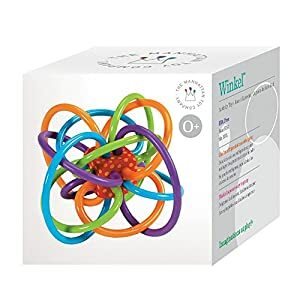 3 BUILDING IDEAS – Youngsters will enjoy creating three different models with this colorful set. Kids can easily follow the step by step instruction sheet that shows them how to build three cabins and two stables. 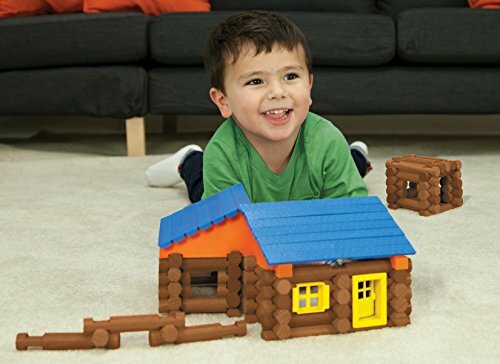 Let your little builders discover the joy of construction with LINCOLN LOGS Oak Creek Lodge. ADVANCED PRESCHOOL LEARNING – LINCOLN LOGS help children develop their analytical and motor skills. Children as young as three years old can easily hold and stack the wooden logs. 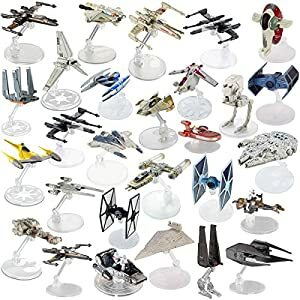 Their creation of different models introduces them to STEAM (science, technology, engineering, arts, and math) subjects. TIMELESS CLASSIC – Grandparents and parents will enjoy sharing fond memories as they build new ones with their children or grandchildren. Together, they may be able to construct a lot of horse stables and cabins that allow kids to experience the fun of construction. 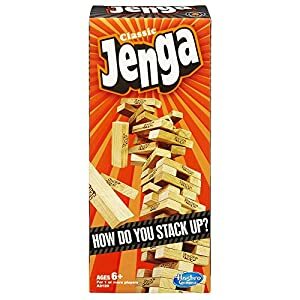 AMERICA’S NATIONAL TOYTM: Invented by John Lloyd Wright, son of famous American architect Frank Lloyd Wright, in 1916, LINCOLN LOGS has change into America’s National ToyTM. Beloved by 4 generations of builders, LINCOLN LOGS provides hours of fun whilst building a solid foundation of STEAM/STEM subjects. PARTS GUARANTEE: Broken part? 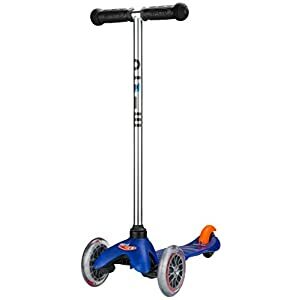 Missing part? If you find yourself in need of a replacement for any reason, just give us a call! We’ll get you what you want so that your child can get back to building as soon as conceivable.